The Greater Portland & Casco Bay region of Maine is the perfect location for those who love the seacoast and the excitement and cultural that this northern New England city has to offer. There are many historic forts and lighthouses, ferries, sightseeing cruises, and plenty of restaurants, museums, theatres, and shops. 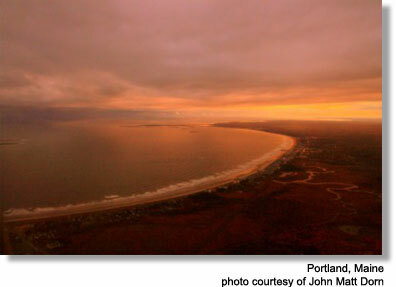 Explore Portland, the Old Port, Casco Bay Islands and the Greater Portland area. Please share your Portland Maine reviews and comments. For general inquiries or to feature your Maine business, contact us. Towns: Bailey Island, Baldwin, Bridgton, Brunswick, Cape Elizabeth, Casco, Chebeague Island, Cliff Island, Cumberland, Falmouth, Freeport, Frye Island, Gorham, Gray, Harpswell, Harrison, Long Island, Naples, New Gloucester, North Yarmouth, Peaks Island, Pownal, Raymond, Scarborough, Sebago, Standish, Windham, and Yarmouth.